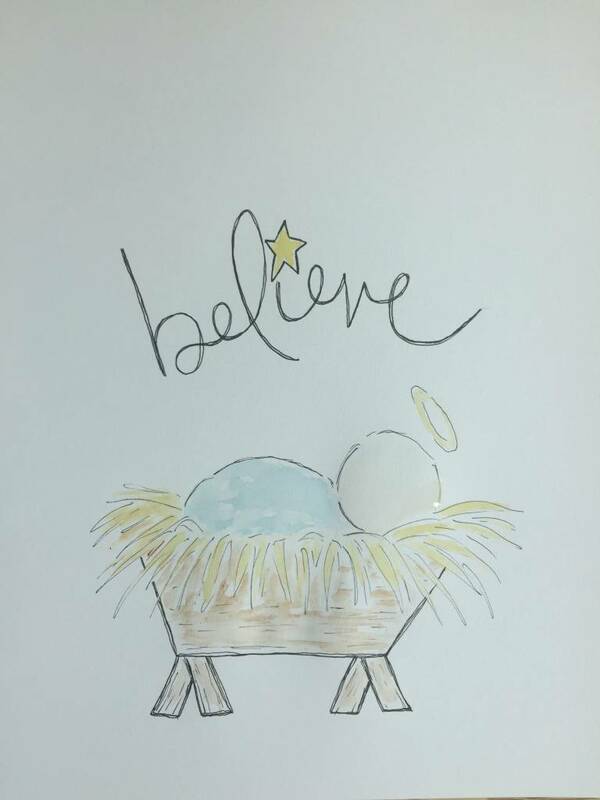 Limited Edition 2018 Manger Holiday Tee by our friend, artist Tawnya Norton. 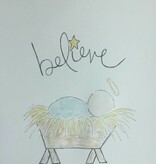 Featuring an adorable sketch of baby Jesus in the manger with the word "believe" in script with a start dotting the i. Printed on a comfy true-to-size Bella Canvas baseball tee. 52% cotton, 48% polyester. Machine wash warm, tumble dry low. Turn inside-out to keep design at its best.